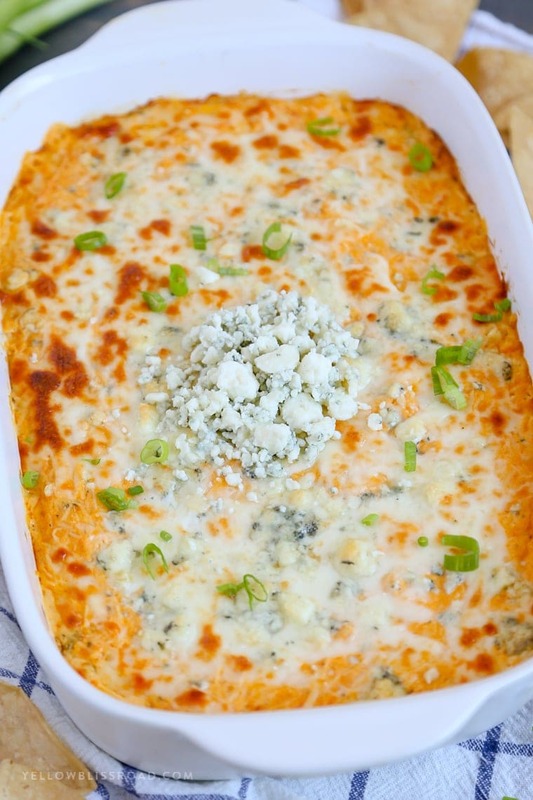 Impress your game day party guests with this incredible Cheesy Buffalo Chicken Dip! With three kinds of cheese, spicy buffalo wing sauce and tons of chicken this appetizer recipe is a real game changer! 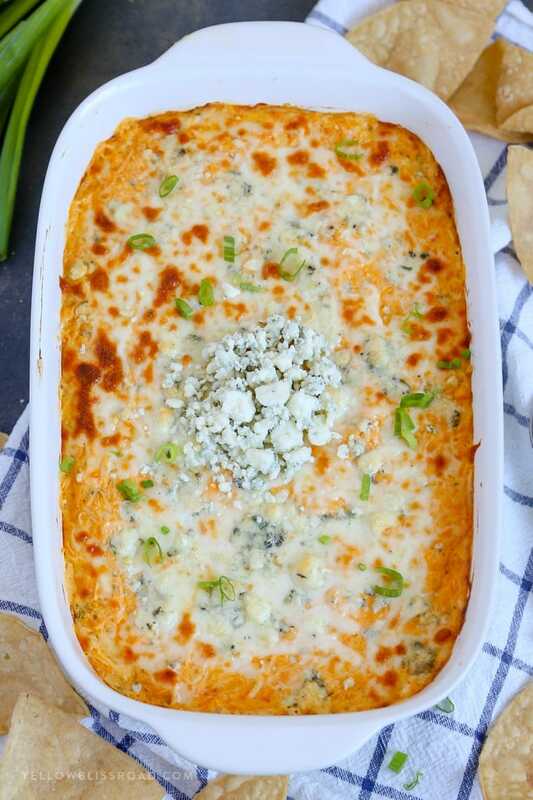 Serve this Buffalo Chicken Dip alongside other party favorites like Spinach Artichoke Dip and Hot Mexican Corn Dip. It’s no secret around here that I’m a sucker for snack-type foods; and buffalo and blue cheese just happen to favorite flavor combo for said snack-type foods. I am a self-proclaimed wimp when it comes to spicy food, but for some reason the buffalo gets me every time. 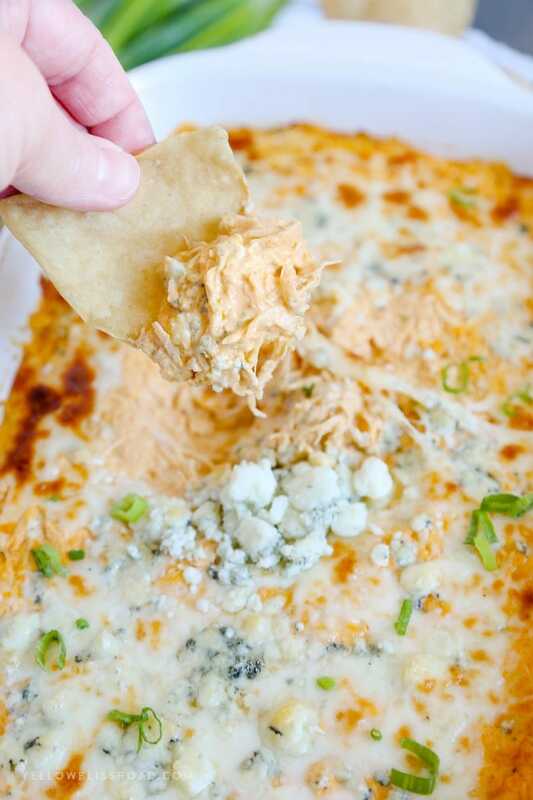 When I was tossing ideas out for this Cheesy Buffalo Chicken Dip (let’s face it, I’m not the first to create one) I was trying to come up with ways to make it different. It finally came to me in the form of late night nachos at a boutique hotel in Salt Lake City. On their menu, they had nachos topped with blue cheese and mozzarella cheese. That melted blue cheese was so incredible, I ordered them twice during my three night stay! They were THAT good! This dip pays a little homage to that delectable midnight snack with lots of Mozzarella cheese mixed in with the cream cheese and sour cream, and a couple handfuls of blue cheese melted right on top. Of course some fresh blue cheese piled on top was a necessary addition, but that melty mozzarella and blue cheese combo in their with the buffalo chicken? Heaven. 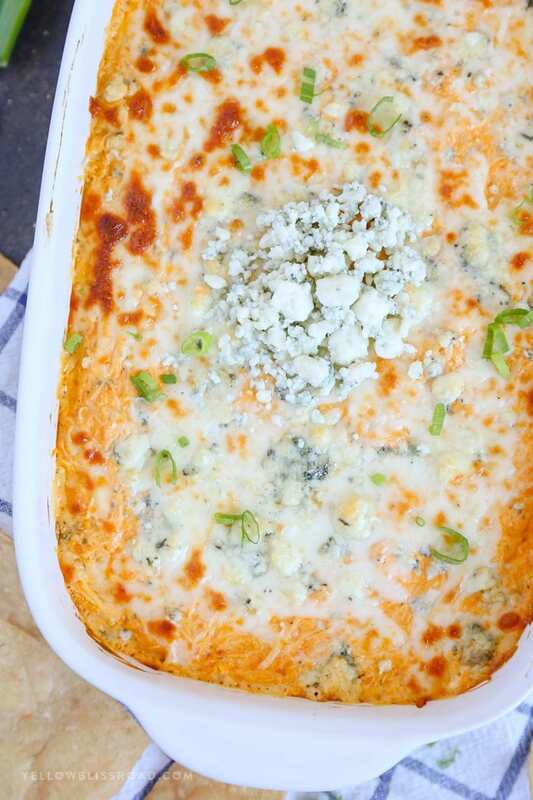 My Cheesy Buffalo Chicken Dip is spicy, creamy, and packs a real flavor punch. The Buffalo Sauce that I used was actually Sweet Baby Ray’s Buffalo Wing Sauce. I used 3/4 cup to get enough of the spice for my taste, but you could use the original sauce for even more heat (I would only use 1/2 cup though). First you’ll need to create the saue, which is the binder for this dip. With an electric mixer, beat together softened cream cheese, sour cream, Ranch dip mix and buffalo sauce. Then stir in the chicken and some Mozzarella cheese. 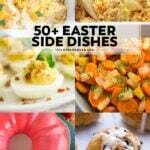 Pour the dip into a medium casserole dish. Mine was 11×7-inch but an 8×8-inch square or even a round would work as well. Cover the top of the dip with more Mozzarella cheese and some blue cheese. If you are not a blue cheese fan, you won’t ruin this dish by leaving it out. However it does mean that we can no longer be friends. 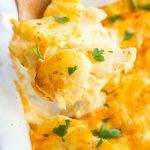 Bake your Buffalo Chicken Dip in the oven for about 20 minutes or until it’s being to brown on top and the dip is nice and bubbly. If you want the cheese to brown, you can flip on the broiler for a few minutes. Serve with crisp tortilla chips and garnish with fresh crumbled blue cheese and sliced green onions. 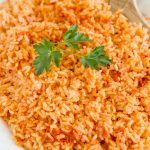 Can I make this dip in the slow cooker? Yes, you can! Place all of the ingredients (you’ll want to cut the cream cheese into cubes) into a 3 quart slow cooker. Cover and turn the heat to low. After about an hour, stir the dip together and if all the cheese is melted you’re ready to serve. 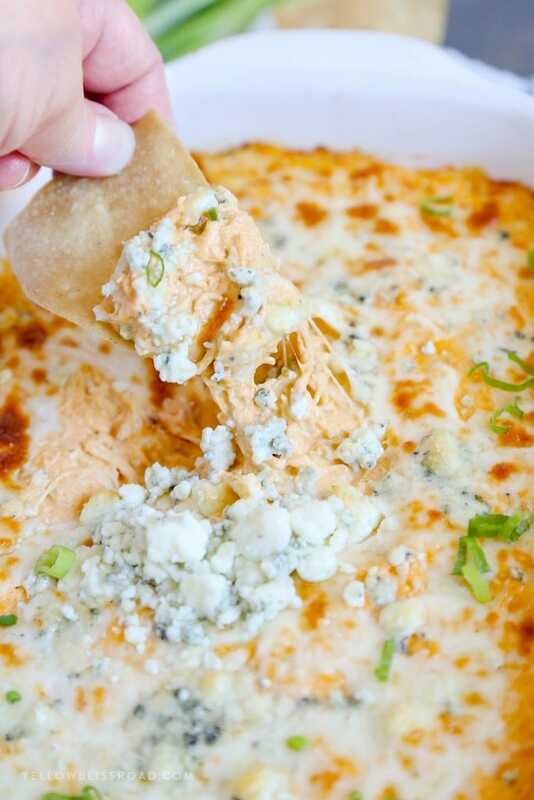 You can definitely prep this dip up to a day ahead. I would wait to add the blue cheese until right before it goes into the oven, because it is pretty fragrant. Make sure to cover the prepped dip tightly with foil and keep it refrigerated until you’re ready to bake. You make need to add 5-10 minutes to the baking time to account for the chill of the fridge. 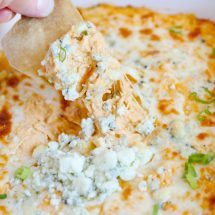 Cheesy Buffalo Chicken Dip has three kind of cheese, spicy buffalo wing sauce and tons of chicken - this appetizer recipe is a real game changer! In a large bowl and with an electric mixer, beat together cream cheese, sour cream, Ranch mix and buffalo sauce until light and smooth. 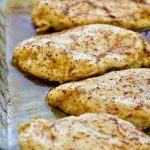 Stir in 1 cup of the Mozzarella cheese and all of the chicken. Pour into a medium-sized baking dish. Top with ½ cup blue cheese crumbles. For the golden brown top, sprinkle with remaining mozzarella. Bake in the preheated oven for about 20 minutes or until cheese is melted on top. Flip on the broiler and broil until cheese is golden and bubbly; about 4-5 minutes. Garnish with remaining 2 tablespoons of blue cheese crumbles and some sliced green onions. Serve with tortilla chips or crackers. 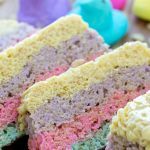 I always keep some on hand for recipes like this. 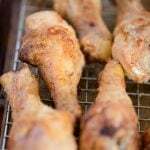 A pound to a pound and a half of chicken should get you about 2 cups. 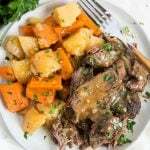 Would it be possible to make this in a crockpot? I haven’t tried that, but yes I think it would work. You just wouldn’t get the browning on top but I don’t think you’ll miss it. I assume you add the chicken to the mixture before you bake it? I love dipping sauces. Definitely love this one too. Nice share, Kristin! 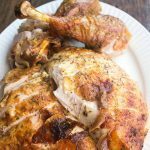 About the chicken, do you use the chicken in the can? You can, but I usually will cook chicken breasts and use those.